The Morgan Tsvangirai-led opposition is not prepared to contest in any national election as the party is in shambles, senior MDC-T official Mr Eddie Cross has said. Mr Cross reiterated remarks he made on his blog on Christmas, writing off the opposition and expressing confidence in President Emmerson Mnangagwa’s leadership. The post read, in part: “Mnangagwa is in absolute control of the State and I think he is going to deliver. One of the key elements behind this strategy is that he knows the opposition is in shambles. MDC-T spokesperson Mr Obert Gutu tried to downplay major contradictions in the alliance, saying: “Morgan Tsvangirai is our leader and he is also the MDC Alliance presidential candidate for the 2018 elections. 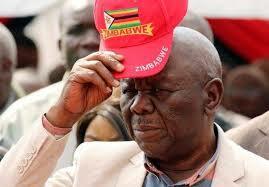 There are absolutely no disagreements in the MDC-T regarding the MDC Alliance. “There is a lot of fake news that is being generated by misguided elements, particularly on social media. We are not worried one bit about these purveyors of fake news since we are already on a roll.” The MDC Alliance is in the throes of power struggles, with the latest ignited by a plan to allocate parliamentary constituencies which each party will run for come 2018. MDC-T secretary-general Mr Douglas Mwonzora torched the storm by announcing that his party had begun selecting candidates. Other alliance members saw this as an attempt by the MDC-T to hoodwink them, and Mr Tsvangirai was forced to chastise Mr Mwonzora publicly. The grouping comprises Transform Zimbabwe, Multi-Racial Christian Democrats, MDC-T, ZimPF, People’s Democratic Party, MDC and Zanu Ndonga. Collaboration among its members has been shaky since the alliance’s launch in August 2017 as key figures in the MDC-T remain uneasy about their “smaller partners”.